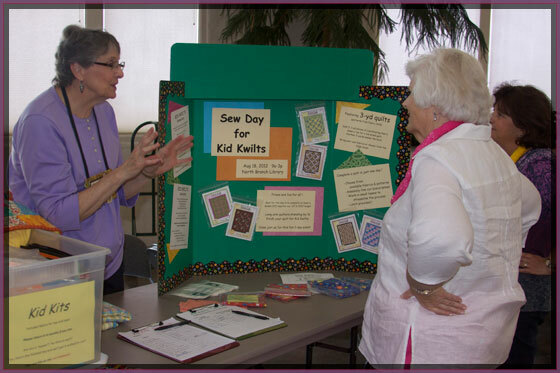 Kid Kwilts has two primary goals: gather and distribute donated quilts to local children’s programs and coordinate the annual Kid Kwilt Challenge. Denton Quilt Guild donates over 200 quilts each year to local agencies, such as Denton County Community Partners (Children’s Protective Services), the Cumberland Children’s Home, prenatal clinics, and National Adoption Day. 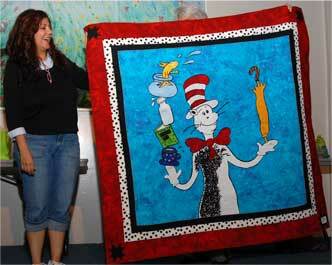 Donation quilts are accepted and distributed year-round to these and other organizations. Kid Kwilts also assembles donated fabrics into kits, packs of coordinated fabric for the top and backing for a child- or teen-sized quilt. Members pick up the kits at the monthly guild meetings, then donate their time and inspiration to make a wide variety of appealing child- or teen-sized quilts. The Kid Kwilt Challenge kicks off each spring when a local vendor donates a bolt of fun fabric. Fat quarters are cut from this bolt and sold to members for $3. No more than one FQ can be used in each challenge quilt and a recognizable piece of the designated Challenge fabric must be visible on the front of the quilt. Kid Kwilt Challenge quilts are then judged by vendor representatives and master quilters, as well as by children and guild members. After being displayed at one of DQG's guild meetings, members cast their votes and prizes are awarded. 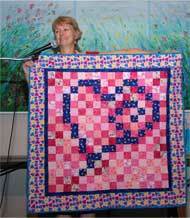 The challenge quilts are then donated to local agencies. 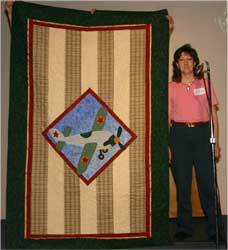 Links to the photos from prior years' Challenge quilts are below.